What's wrong with your construction quotation format in word? 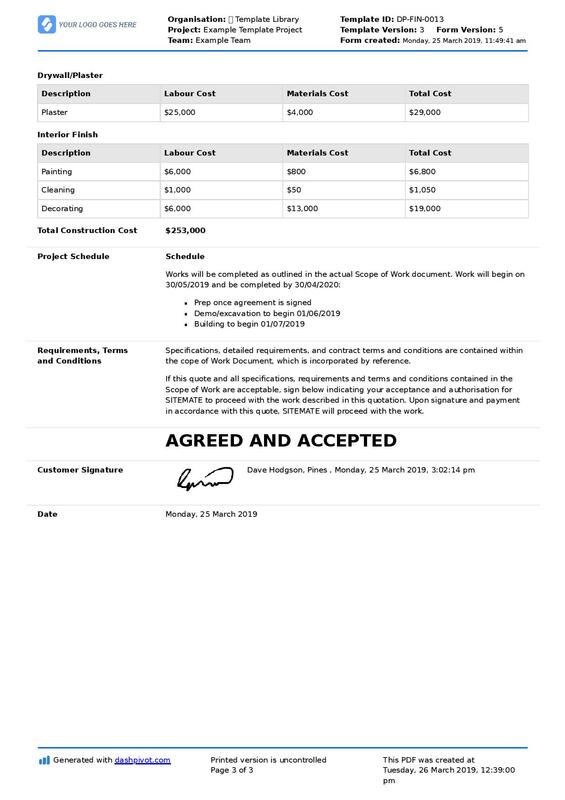 Construction companies have been using word documents to build and manage their construction quotation format for many years. Word was one of the first tools in which these companies could create and share good looking and functional construction quotes. And word served these companies really well for many years. Word and word processing tools were a pretty big improvement over paper and physical mail. But in 2019, having your construction quotation format in word is costing you time and money, in causing you a lot of quoting and project management headaches. These are just a few of the nagging problems associated with managing your critical quotation format in word. So why not establish your construction quotation format in excel? What's wrong with your construction quotation format in excel? Many construction companies also lean on and rely on a quotation format in excel. Excel has some advantages over word when it comes to quoting, and some additional weaknesses. Excel works really well for configuring, assessing and working out your quotes numbers. Obviously excel was intended for number crunching, formulas and analysis, so it's a really powerful tool for internal purposes when it comes to quoting. Where excel falls short is that it can't be presented in a professional document format. You could share an excel document with all of your quotation details with a client, but it's not really a very professional document format. So just like with word, you are forced to spend your time moving information between different word and number processing formats, which requires a lot of administration. If you are happy with spending a bunch of your time with your head in an excel document, and then transitioning your numbers over to word doc, and then into PDF format, then your process may be sufficient. But if these seems like a lot of work just to end up with a well formatted quote, then having your construction quotation in excel may not be the best route for you either. 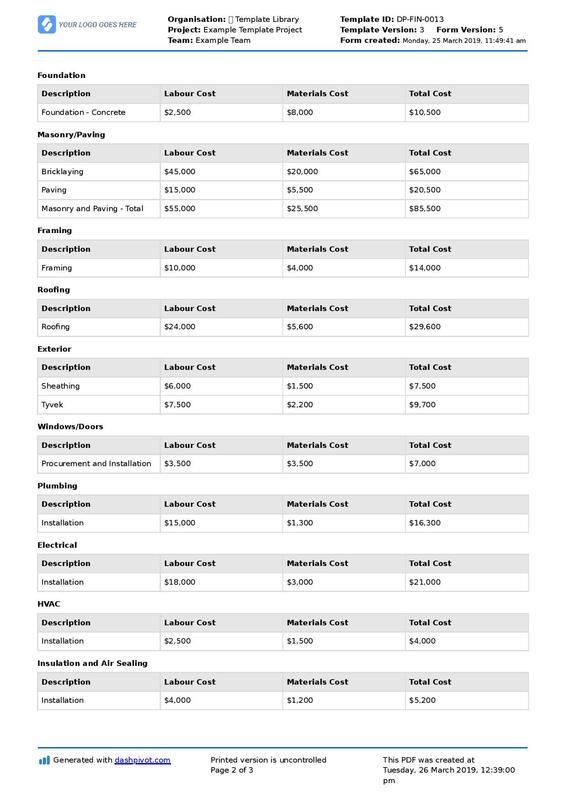 What's the right construction quotation format? Today, there is a better construction quotation format which you can use and rely on for all of your quotes; a format which is far more efficient and professional than handling your construction quotation formatting in word or excel. And this is through proper document management software. A software like this enables you to convert your quotations into an entirely digital format. This formatting enables you to use a single system for your quotations from start to finish. Instead of needing to have an excel, word and PDF file for every quote, you can have one standardised quote template which you can use and adjust for each quote. First, you create the exact quotation format you want using the drag-and-drop form builder. This form builder enables you to build a smart document with text form fields, tables for your quote categories, clever formatting options and digital signatures. Once you have built your template (you can build more than one of course), completing the actual quote is incredibly easy. You can access, edit and fill in your form from any device - mobile, tablet or computer - and complete it in the same way that you would a word doc or excel sheet. Once complete, you can simply generate your final hard copy or PDF version in the click of a button. Using a digital document, your PDF version, tables (like a spreadsheet) and the editable doc (like word) is one and the same. You can do everything you need to in terms of making changes and converting the document in one place - automatically. And finally, when you need to share this document with the quotation receiving party - your export can be sent via email from the system, opened and signed off on a mobile or tablet, or shared as a hard copy. All of your quotations come with your company logo in the top left corner, as well as your company colours. 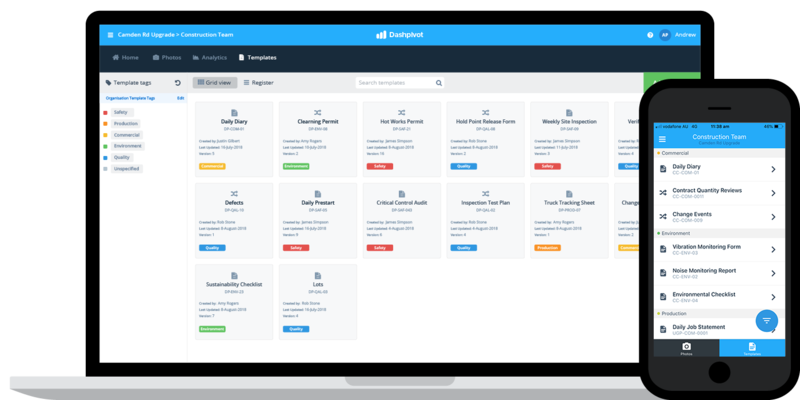 A digital quotation format streamlines and professionalises your entire quotation process, so that you and your teams can spend less time building and managing quotes, and more time delivering great projects. 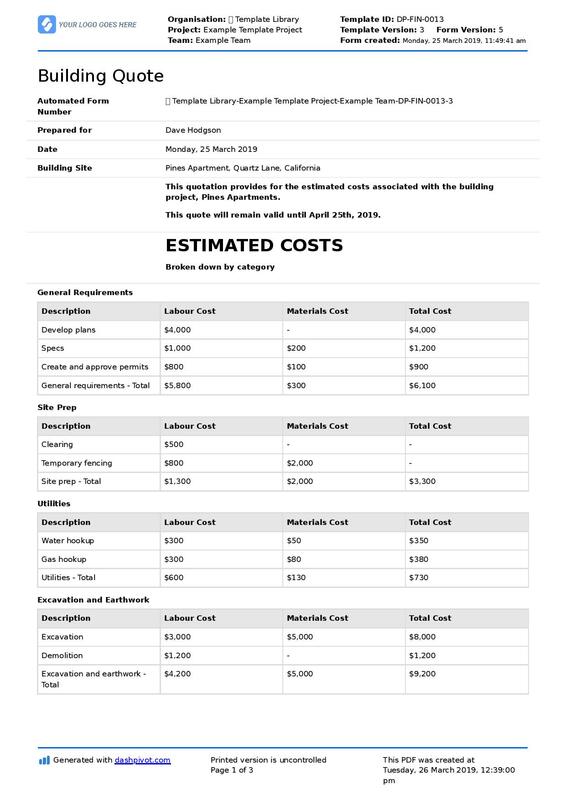 Use and edit this construction quotation format. Transitioning your quotation format in word and in excel to a digital document can be done quote easily. In fact, you can do it for free right now by clicking on the button above. But if this document is much better than docs formatted in word and excel, why not convert more of your word and excel formatted docs into a smarter format? Many construction and industrial companies have started doing this. 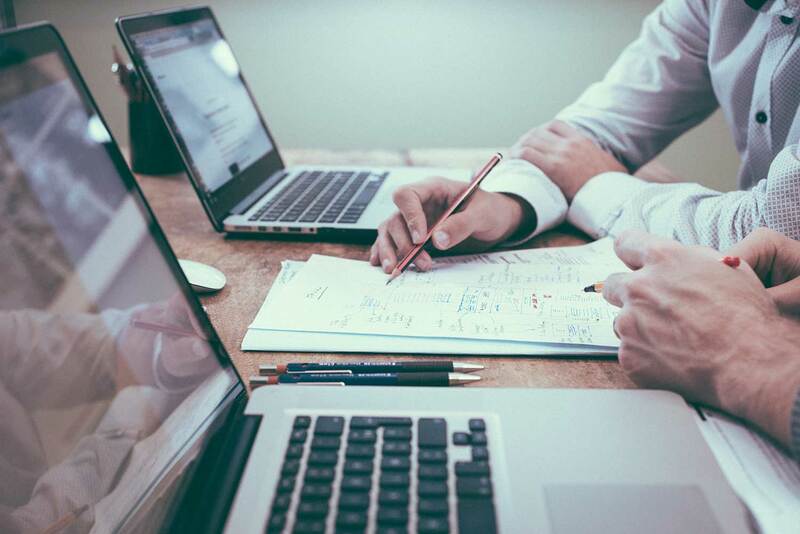 Instead of relying on manual and paper-based information management systems, companies are employing fully integrated management systems which can handle almost all of their company and project information. The same quotation format which eliminated the need for word and excel can also be applied to other project forms and documents too - across functions like finance, commercial, quality and safety. Having your construction quotation format in word or excel was the smart thing to do for many years, taking advantage of the advances in word processing and computing. But the next big change in document formatting is going to be based on the power of the cloud and automation. There is going to be some friction associated with transitioning construction documents and construction quotation formats across to these formats, but in the long run, that friction is a small price to pay for the friction associated with transitioning information and critical quotations from word to excel to PDF, and back again. The future of construction quotation formatting involves creating one quote format which multiple parties can easily access, edit and sign off on in real-time. And that future is here now. Try this smarter quotation format for yourself, and leave those time-consuming word and excel documents in their folders - if you can find them.